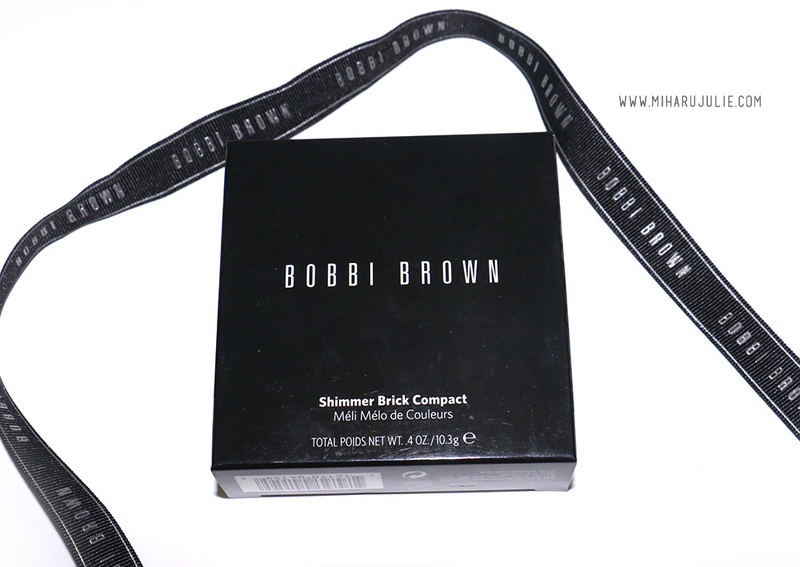 “The original Shimmer Brick Compact. This shimmering, brush-on powder creates a deep, bronzy glow. Works well with neutral and deep blush shades. Handmade in Italy, this compact features superfine pigments that reflect radiance and light. 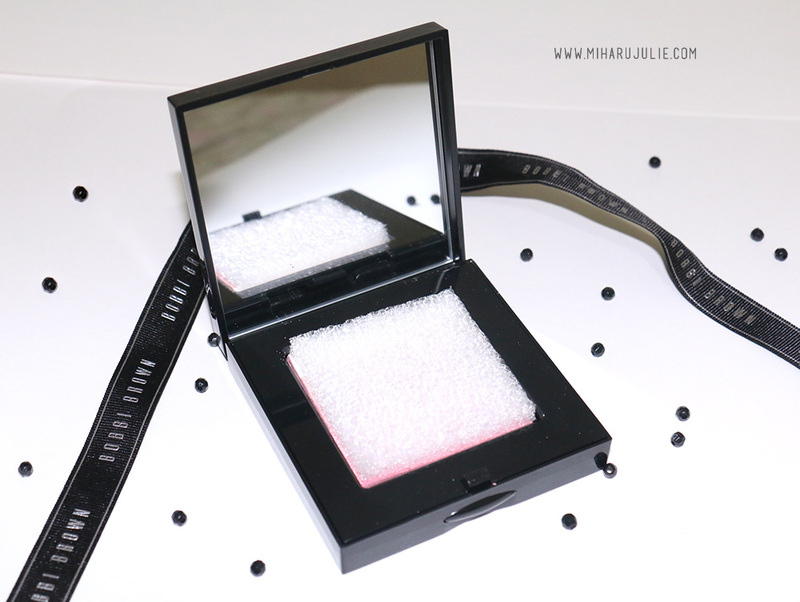 -Sweep the Face Blender Brush through all five shades and dust lightly on cheekbones after blush. -Focus on applying shimmer on the top of cheekbones—where light naturally hits the face—for the most flattering look. The compact comes packaged in a cardboard box. The shimmer brick comes housed in a black box with a decent-sized mirror. There is no brush. The brick is hoised in the centre of the box protected with a styrofoam cushion. I suggest to retain the the styrofoam cushion to prevent any breakage. The Texture is very smooth and not at all chalky. It is finely milled and doesn’t clog pores. The shimmer is not chunky or grainy but very mild and subtle give a nice glow to the face. Rose contains a pearl white highlighter, a soft bronze and three other shades on the peachy-pink level. I love the powder texture and formula, something I didn’t expect as I usually associate high-shimmer products with being powdery and a bit dry. Pigmentation is sheer and soft – just right for being a highlighter/blush. The five strips are each a different shade of the same shimmery texture (all connected in the same pan). 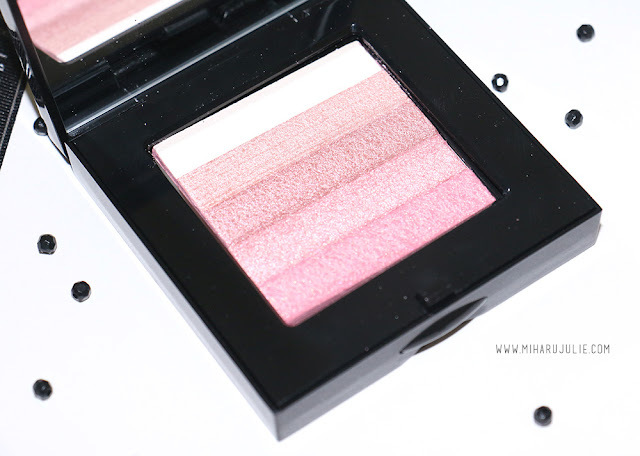 It’s a very sophisticated shimmer- not too sparkly or chunky, but just enough to give a nice highlight to the skin. 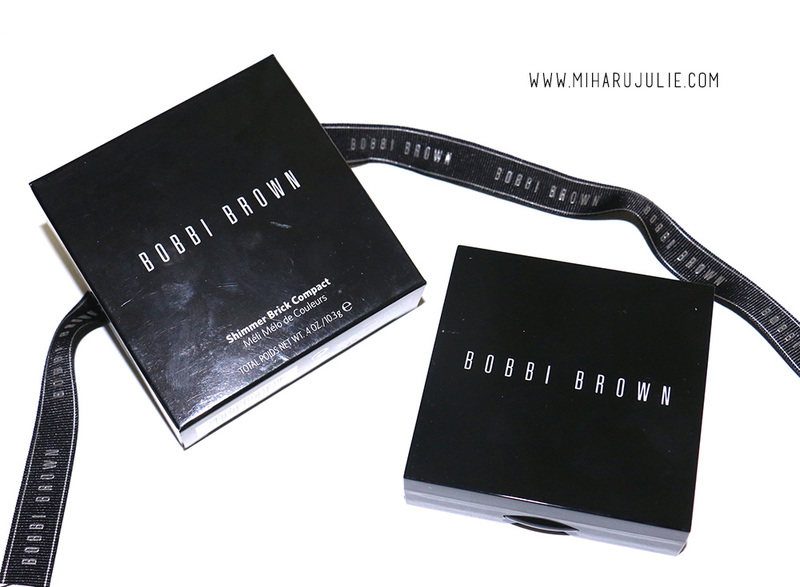 The Bobbi Brown Shimmer Brick Compacts are multi-purpose, designed to be worn both on the cheeks and on the eyes. 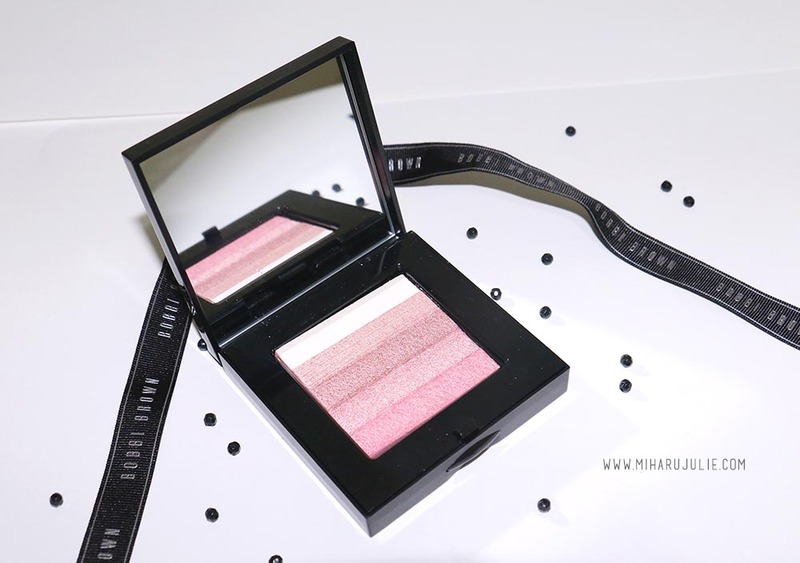 They’re usually made up of 5 strips of shimmering pearl colors that can be used individually (although you’d have to have a really thin, tapered brush for that) or swirled together for a soft, blushing glow. 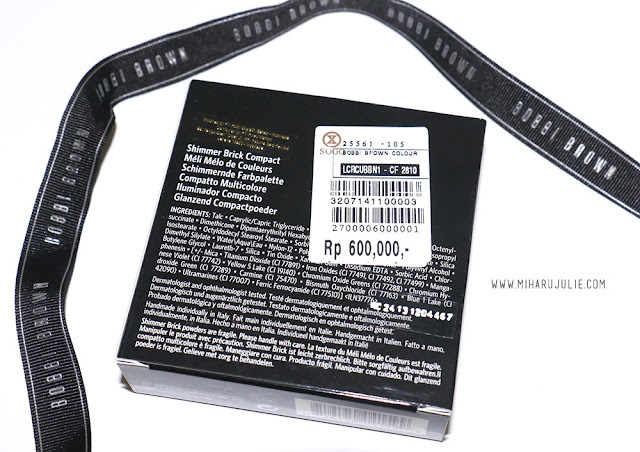 The shades can also be used individually as eyeshadows if you wish. As an Eyeshadow, i think the Shimmer Bricks work exceptionally well. 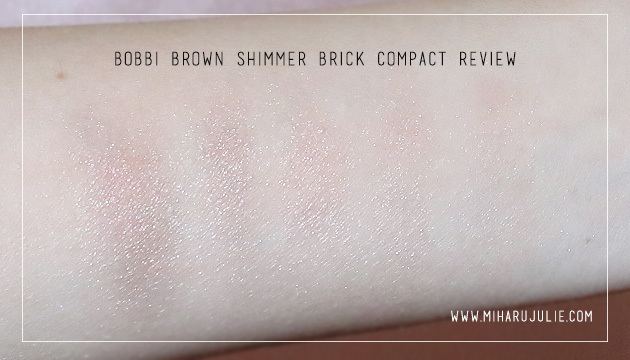 They are super smooth and the rose gold is such a gorgeous color for the eyes- one swipe and its a beautiful, It’s a pretty, feminine collector’s piece for Shimmer Brick addicts. When worn on cheeks, it works as a blusher and highlighter in one, because it packs plenty of color along with a soft frosty shimmer sheen. Rose is made up of particularly sheer and soft, light shades so I’m not sure if the colors would show up well on fairer skintones. Heard so many good things of the Shimmer Bricks and they are soo beautiful! Great review Julie. I love the pink shades. 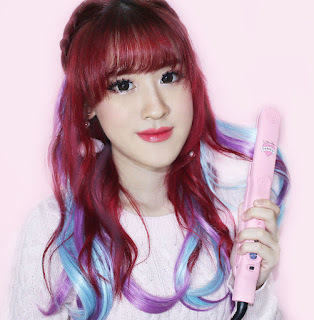 waw bagus banget banyak warna nya, jadi satu kali sapu blush on nancap deh hehe..